Winfred “Bill” W. Ortts always had a love for tinkering with TVs and radios…he loved electricity! 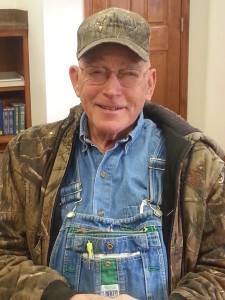 He began working for Shenandoah Telephone Company in 1958, working with the brush crew, building lines, and setting poles. He loved electrical work so much he started to work for himself on his time off, helping folks wire up! Well, after working late hours on his own, and coming into work exhausted, his boss, Mr. Warren French told him to make a decision….it was either his side work or the phone company. So in 1967 “Ortts Electric” was born. The first office was in their home where wife Kitty kept impeccably detailed records. They grew from there to Old Valley Pike in Edinburg, to the current location in Edinburg. 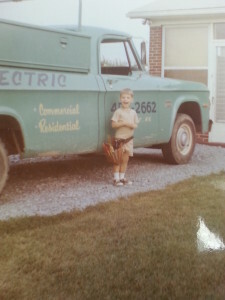 Ortts Electric expanded the vision to plumbing and after blowing insulation for a minute…grew into HVAC as well. Charlie, Bill and Kitty’s only son, began working in the business as a youngster and could be seen changing out receptacles on jobs…only because he wasn’t yet tall enough to reach the switches! Charlie took over running the company in 2002. Hopefully one day, Charlie and wife, Karla’s only son Kyle, who is currently attending college will follow the same tradition. Today business is booming with a company bucket truck, crane, ditch witch, 8 service vehicles, and 20 employees. We look forward to continued work for our customers.